I'm on Day #7 of feeling lousy, but I'm starting to feel human again. 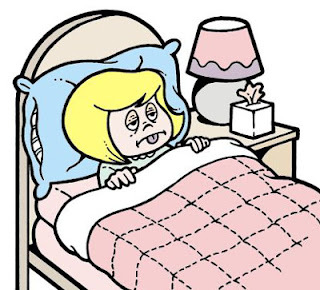 What foods do you crave when you're sick? I always get a craving for a bowl of pho. I swear that a piping hot bowl of pho has magical healing powers. My favorite is from Minh Anh. A large order lasts me at least two meals, and it always tastes amazing when I'm not feeling well. Between this, and a fall head cold, I've been trying different pho around the city. There's a blog post in the works. I've hit Minh Anh, Superior Pho, and #1 Pho. Any other restaurants that have a great pho that you know of? Here's hoping that I feel 100% by this weekend. I've got a restaurant excursion and fun wine tasting event planned for Saturday night, but more on that later. See you later, January. Thank you to everyone that entered my ticket giveaway for The Great Big Home & Garden Show! It's time to select a winner, using random.org. Congratulations to comment #3-- Destiny! Email me to claim your prize by 4:00PM tomorrow, or another winner will be selected. You didn't win, but still want to attend? Purchase your ticket online to receive their $3 discount, and enter the word "BUFF" at checkout for an additional $1 off the ticket price. I hope to see you there, exploring the home and garden products, demos, and displays. Thank you again to The Great Big Home & Garden Show for providing this opportunity. Chris Crary, here I come! One of the things that I love most about our fair city is the never-ending list of interesting events to attend. Next up...The Great Big Home & Garden Show at the IX Center February 2nd-10th. This event is so much fun to just wander around and check out the innovative products, ideas for your home and garden, access to experts...and some fun food demos thrown in. I've attended some of the demos in the past, and we always walk away with some practical advice and recipes. This year will be no exception. The Loretta Paganini School of Cooking will be offering some great demos on the Main Stage/Cooking Stage throughout the show. You can catch local chefs like Dante, and Matt Fish of Melt doing demos as well. 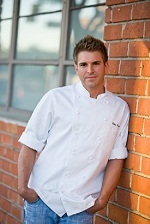 But, my heart be still, you can also see chef hottie Chris Crary from Top Chef Season 9 on February 9th at 11:00AM. Swoon. I know what day I'll be attending. As you can see, this event is not just for those interested in home improvement or decorating your home and garden. There is a little something for everyone. The Home & Garden Show did ask me to help them promote the event, but this one is something that I would have shared with you even on my own. However, they did offer to generously provide me with two tickets to give away to one lucky reader. Just leave a comment below telling me who your favorite Top Chef contestant is (current or former), or what project you are currently working on in your home. I'll select a winner, using random.org, on January 29th. Good luck! 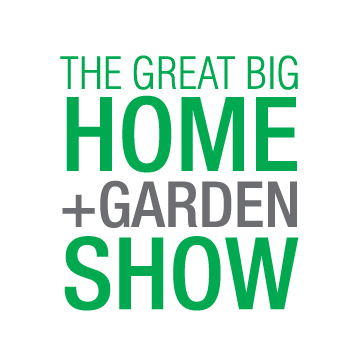 Disclosure: The Great Big Home & Garden Show provided me with two tickets to give away, and two tickets for myself and a guest to attend, in exchange for this post. The opinions stated are 100% my own, and I really can't wait to lay my eyes on Chris Crary. Images provided by The Great Big Home & Garden Show. 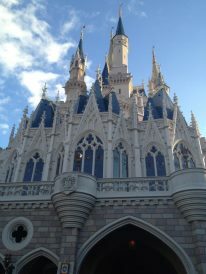 I was in Orlando, FL with my Liver Life Challenge team from Cleveland. 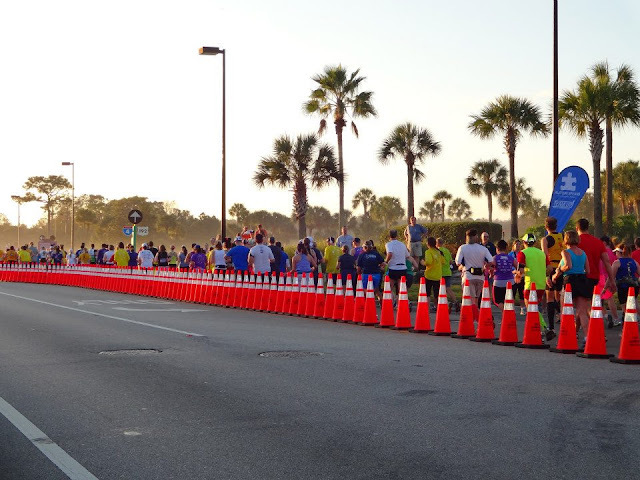 I've been managing the team since September, and it was finally time for the Walt Disney World Marathon. Their hard work training and fundraising for the American Liver Foundation paid off, and we all enjoyed Race Weekend. 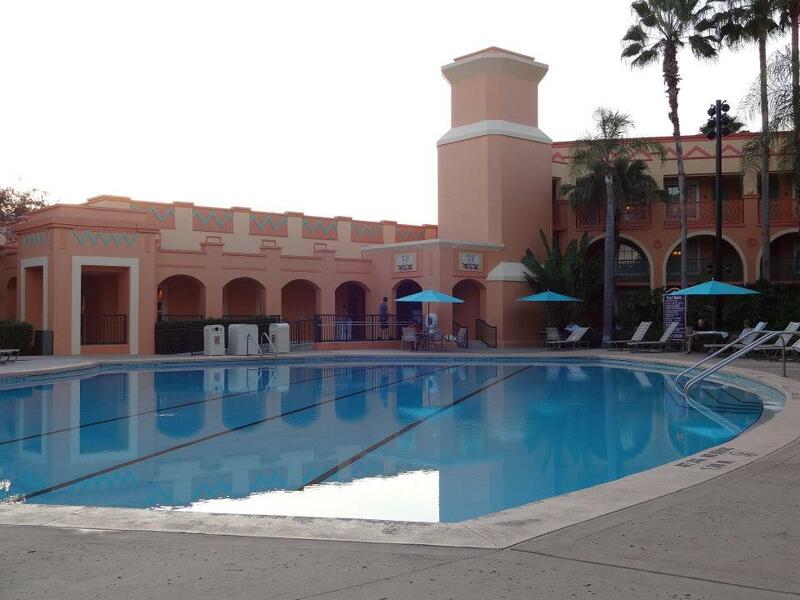 After four days of working on very little sleep, no caffeine, and lots of FUN...I enjoyed two days of vacation at our hotel pool and then hopping around the Disney parks. I had a blast all six days. Our fabulous running coach, Heather, captures her experience over on her blog. I also really enjoyed all of the fresh seafood down there! Lobster rolls, ahi tuna...oh my. Then, I returned to Cleveland and my Internet went out for SIX DAYS. It only came back on this afternoon, and it's still spotty. Talk about maddening. But, I'm baaaaack! A great giveaway coming tomorrow, and more dining adventures soon. "R" and I celebrated the holidays with his family at Burntwood Tavern before we headed off to NY. It was my first time dining at any of their locations, and it left me wanting more. We met at the Rocky River location for dinner on a busy Friday night. We had a 7:00 reservation, and the table was ready for us shortly after our 6:30PM arrival. We intended to just grab a drink at the bar before the rest of the family arrived, which we did. But I did appreciate that they hurried to get our table ready for us. The bar was very cool, with a copper bar top, interesting light fixtures, and plenty of beverage options. It's quite long, so we had no problem grabbing a seat and enjoying a glass of wine while we waited. Our party of six was seated in the side room that appears to be part of their outdoor patio in the warmer months. There was a great fireplace burning, and I loved the refurbished look of the tables. However, there was a live band playing in the main bar area, and even with a temporary wall and the doors shut-- it was incredibly loud and tainted our holiday celebration. However, the food more than made up for it. Per many people's recommendations, "R" and I shared an order of the Tuna Nachos with sashimi tuna, crispy wontons, avocado salsa, scallions, and cilantro cream drizzle ($10). Loved the flavors and texture of this dish, but I wish that the tuna was thinly sliced into larger pieces rather than the diced tuna that was served. Some wonton chips didn't have any tuna on them, and the small pieces often struggled to stay on the chip. For my entree, I ordered the Filet with an 8 oz. center-cut filet mignon with blistered asparagus and potatoes Quinlan ($26). Now, I had a couple of glasses at wine at this point-- but I swear that it was one of the best steaks that I've had in a while. Seasoned perfectly, and cooked to medium-rare as requested. The sides were enjoyable as well, and I'd have a hard time not ordering this again. "R" went with the Cedar Planked Salmon ($19), and liked it a lot too. I tasted it and, for once, it wasn't too fishy tasting for me. Salmon just doesn't do it for me. Since then, we've been back for drinks with friends. The atmosphere is comfortable and inviting, yet hip. I'm already anticipating another return for dinner. Have you been? This is it...the last blog post for my 2012 "To Dine" restaurant challenge. Technically, I still didn't complete it again this year, because Sullivan's closed. I am plagued to never fully complete my lists, but I keep trying. So, here it is-- Stonehouse Grill. "R" and I headed there last Friday evening. The entry area was packed when we walked in, but the wait was only about 15 minutes because we were willing to take the first available seating. This ended up being at a high-top table in the bar. Not my ideal choice, but the chairs had appropriate foot rests and I could sit there comfortably. At 5'3", that's not always the case. They have a pretty extensive menu of bar favorites and classic comfort food. Several tips on Foursquare suggested the Spinach and Artichoke Dip with spinach and artichoke hearts blended with creamy cheeses, and served with either baked pita bread or tortilla chips ($8.49). Personally, I loved that they offered two kinds of "dipper" options. I don't care for tortilla chips, so having a choice was appreciated. It was a large portion (great for sharing), and the ratio of pita bread to dip was perfect. It was a hair garlicky, but it had great flavor and my only suggestion would be to bake it to get a nice, golden crust on top. "R" and I both ordered fish. He opted for the Friday Fish Fry with a breaded and deep-fried white cod filet served with choice of potato and cole slaw ($12.49). This item is on their regular dinner menu, but only available on Fridays. To be honest, the brick of cod that arrived was a little scary looking. It looked a little too processed, and "R" really didn't care for his meal. The cole slaw was bland and watery, and the sweet potato fries were nothing special. I, instead, went for the special of the day-- Perch Fry ($14.49). For two dollars more, it came with five large pieces of perch and a side of steamed vegetables instead of the cole slaw. The steamed vegetables were a little boring and overcooked, and the side of frozen French fries was unremarkable as well. However, the fish itself was lightly breaded and cooked well. I enjoyed the fish, and it was more than enough to take home some leftovers. Well worth the extra $2, and much better quality fish than the cod. The restaurant, and bar area, were brightly lit and very comfortable for all ages. It has a slight Irish feel to it, with a lot of Americano decor scattered around. They have a decent-sized parking lot out front, so we found a spot with ease even on a busy Friday night. Our server was attentive, but did forget to bring us a side dish that was requested. At least it wasn't on the bill. Worth noting-- "R's" Thirsty Dog draft beer was on special and only $2 for a pint. Overall, it was fine and just that. A neighborhood joint with some classic comfort food at a reasonable price. It's safe to say that I personally won't be back, but judging from how busy it was at 9:00PM on a Friday night-- it's a popular spot. Goodbye 2012 "To Dine" list! Hello, 2013 challenge. Well, I did it. I finished up the last two restaurants that were haunting me from the 2012 To Dine challenge last week. I had to give myself four extra days to complete it this year, but I'm okay with bending the rules slightly. All in the name of good eats! "R" and I traveled home from NY on Tuesday, so that meant that our refrigerator was still very bare on Wednesday. Luckily, Frank and Michelle were up for meeting us at Beach Club Bistro to tackle one of the last two restaurants left to visit on the list. Now, I have to be honest. I've been to Beach Club Bistro before, several times. But I allowed it to make the list last year because I've only really dined there for lunch (it was close to the Foodbank), and I've seriously only ordered one dish from them ever -- the Circleshore Club on the appetizers menu. It's essentially a personal pizza with garlic mashed potatoes, cheddar, bacon, and scallions ($12.50). My friends and I liked to have them add fresh tomato as well. So, when a reader suggested Beach Club for 2012, I was interested in checking out the rest of their dinner menu. A couple of menu items made my short list when I started perusing, but Michelle's favorite was one of the dishes-- so that helped make the decision easier. Breaded Eggplant Roulettes ($13.95). They are crumb-breaded and filled with herb ricotta cheese, and then baked in marinara sauce with smoked provolone cheese with a fresh basil and cracked peppercorn finish. It was a plate full of baked, cheesy goodness. It was a little too crispy and dry on the outer edges, and the flavor needed a punch of red pepper flakes for my personal taste, but overall I liked the dish. However, it did not stack up to my memories of the Circleshore Club. I think they just really know how to do a great pizza there. I also wanted to try something else on this visit, and I settled on an appetizer of the Tempura Green Beans. They were prepared to-order, and I loved that they offered three different dipping sauces with them. The most unique was the thicker dipping sauce with chunks of crispy bacon in it. It was more of a spread than a dipping sauce, but tasty nonetheless. I shared, and we all enjoyed them. It's a family-friendly restaurant, with a small lot for free parking next door. Service was a little slow, but we were busy chatting and catching up after the holidays. "R" ordered the BBQ Burger, and wasn't thrilled with it. The meat itself was flavorful, but overcooked after he had ordered it medium-rare, and some of the listed toppings were simply missing in flavor and texture. So, overall I was happy with my return visit to Beach Club Bistro. However, my heart still lies with the mashed potato pizza. Remember, don't look for it in the Pizza section of the menu-- it's hidden with the Appetizers! It's time. Happy New Year! That means that it is time for me to select my 2013 "To Dine" list of ten restaurants to challenge myself to try within the next twelve months. I asked, and you suggested. Over 35 restaurants gave me quite the list to choose from. I look forward to checking them all out, and let me know if you want to join me on an outing! An update on the 2012 list-- We decided to stay in NY for an extended holiday vacation with my family, so I didn't quite finish the list. I'm giving myself the rest of this week to complete it, and I shall! Keep your eyes peeled for the last of the 2012 posts. I hope that all of you enjoyed a wonderful holiday season. We certainly did, but I'm okay with putting it behind us and focusing on a new (and better) year. Happy 2013!